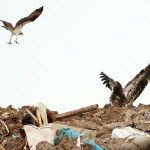 This sequence of an Osprey trying to unsuccessfully rattle an immature Bald Eagle in Kearny is amazing work by photographer Ron Shields. 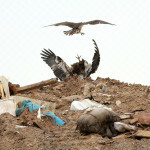 Says Ron: Here is a sequence of images of a recent dual between a territorial osprey and our immature bald eagle at the Kearny Marsh. 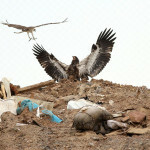 The osprey buzzed the eagle as it sat atop the Keegan Landfill. 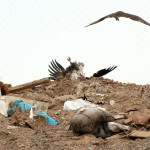 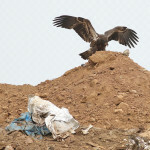 Knocked down but not knocked out, the eagle regained its composure as well as its perch high atop the landfill.